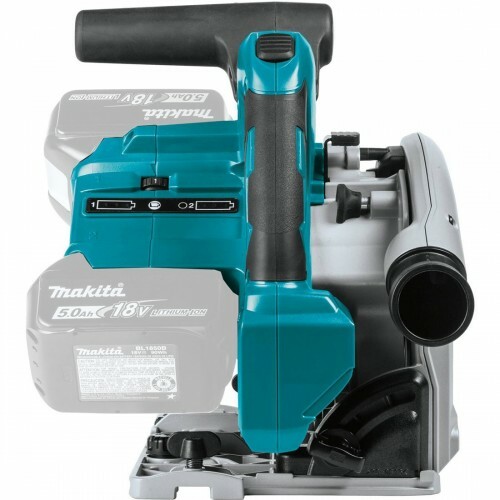 Our cordless Makita Plunge Saw for hire is powered by two 18 volt Li-ion batteries and has a 36 volt DC motor drive system. This advanced system plunge saw can automatically change cutting speeds according to working conditions. 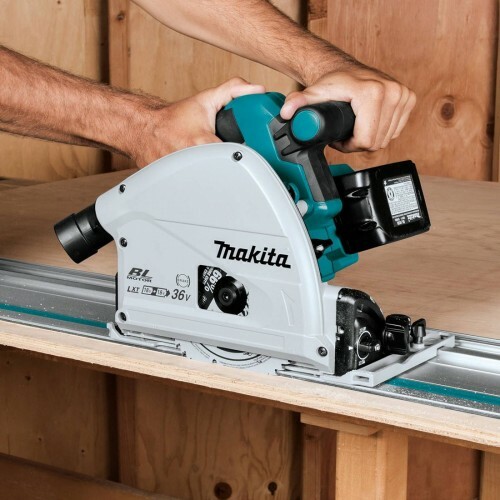 The speed of the saw is controlled by a dial and it uses the most up to date soft start technology.